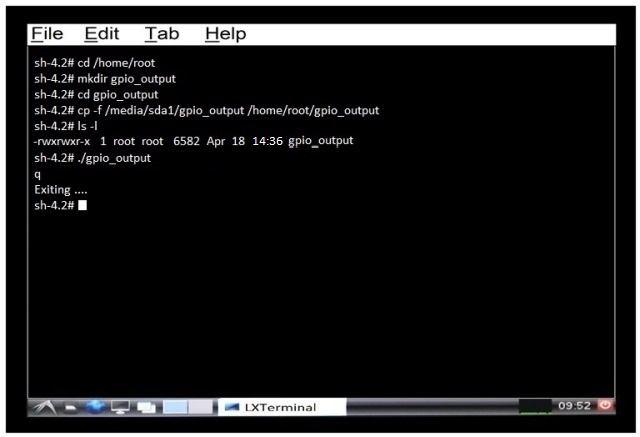 This article describes how to build a user application to configure and use GPIOs as output on the Apalis or Colibri T20/T30 running Embedded Linux. GPIOs can be accessed through files in the "sysfs" special file system. Compare with kernel sources, documentation/gpio.txt, 'Sysfs Interface for Userspace (OPTIONAL)' for more details. Note: Our implementation requires the GPIOs to be defined within the kernel, "/sys/class/gpio/export" does not work. Linux assigns a number to each possible GPIO. The relationship between this Linux number and the name assigned by the CPU can be found here: GPIO Alphanumeric to GPIO Numeric Assignment Connect SODIMM-55 to LED13 using a jumper wire on the Colibri Evaluation Board V3.1. 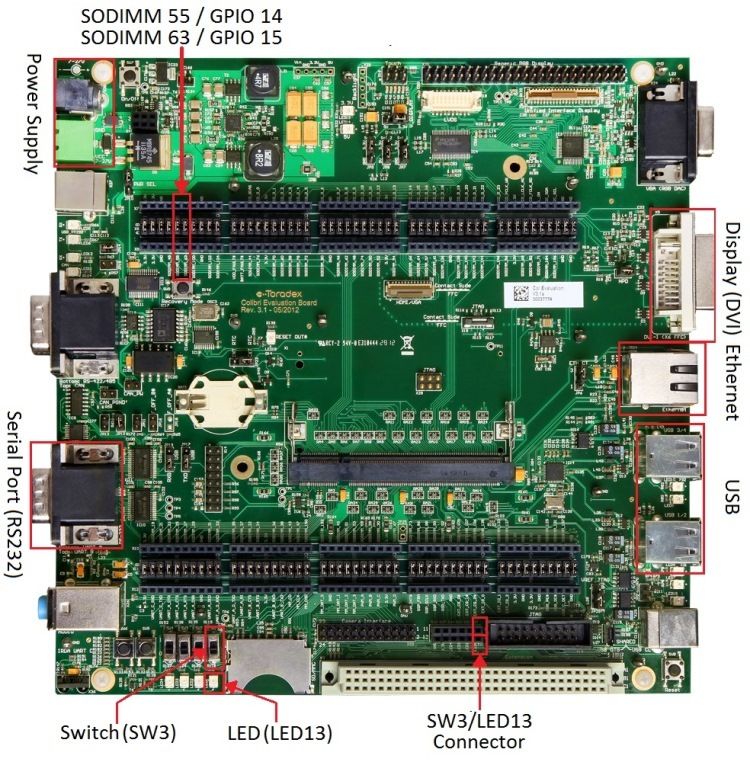 This article uses the pinout of a Colibri T20. The pinout for other modules might be different, refer to the relevant datasheet. We are using the SODIMM-55 to control a LED. SODIMM-55 is connected to the CPU's GPIO B6 which in Linux is GPIO 14. Follow this article for information on how to create and cross-compile a C project. We will be using Eclipse to develop this application. 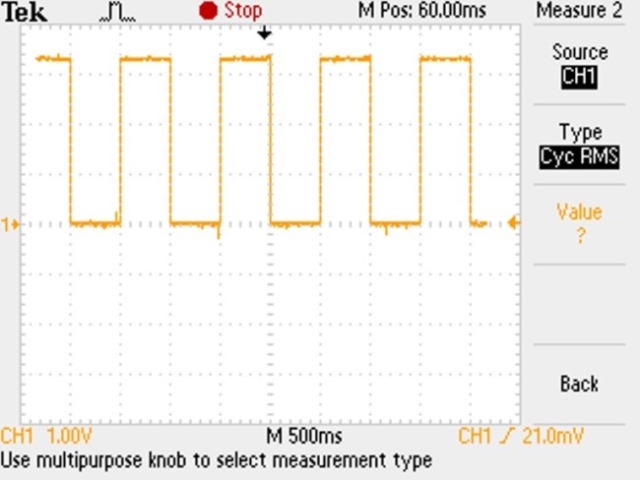 The program configures one GPIO to be output, then it outputs a pulse with 1 Hz. The program is stopped by pressing "q". The file "gpio_output.c" contains the main() function with the setup and control of the GPIO. The header file "pathmacros.h" contains the paths to the used sysfs files. If the program is compiled for x86 it provides paths for stub files. The files "getkey.h, getkey.c" contains helpers for non blocking key press access. Start Eclipse and create a new Makefile project named "gpio_samples". Create a folder "gpio_output" in the project. Create the "getkey.h" header file. This files provide a non-blocking "GetKey" function which returns the ASCII value of the key pressed on the keyboard (No new line character aka ENTER/RETURN required). Create the "getkey.c" source file. This file configures a GPIO to be output and then toggles the output state every 500ms until 'q' is pressed on the keyboard. // returns: file descriptor or -1 if an error occurred. // returns: No. of bytes written or -1 if an error occurred. // returns: 0 on success or -1 if an error occurred. Note: The Makefile syntax requires that the indentation MUST start with a <TAB> character for the commands after a make target (all, clean ...); and not with a SPACE character. If you copy/paste from the article, the <TAB> may be converted to <SPACE> and you will have to change them back to <TAB>. Note: To use Makefiles automatically generated by the Eclipse IDE refer to this article for more details. Provide access to make from within Eclipse. - In the 'Make Target' view, right click the gpio_samples->gpio_output folder and choose 'New...' - Add 'x86 all' as the 'Target name', untick 'Same as the target name' and type 'CROSS_COMPILE= all' into the 'Make target' box. Click OK. - Similarly for the target 'x86 clean'. Double clicking one of the target symbols in Eclipse executes make with the defined target. The console output can be seen in Eclipse's Console View. Alternatively you could open a terminal and run make from the command line. Copy the binary to the target, refer to this article. Start the LXTerminal on the target device. Run the "gpio_output" application to target device. Press 'q' on keyboard to stop the application. On the development host the GPIO is emulated by ordinary files which must exist before the application is started. Note: You have to 'make clean' every time you change between host and target compilation. Use the 'file' command to check the current version. The source files are described above. The zip file can be directly imported into Eclipse or can be used on its own. Click here to download "gpio_output.zip".